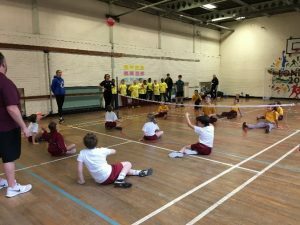 The inaugural School Games Sitting Volleyball tournament took place at Bower Park Academy on 6th December 2018 with just three teams taking part. The event was for year 5 and 6 children including SEND pupils and no experience was necessary. Upon arrival the teams from St. Joseph’s, Rise Park Junior School and Newtons Primary were given lots of fun games and activities to play to develop their sitting volleyball skills. These were delivered and run by some very competent and enthusiastic sports leaders from Bower Park. 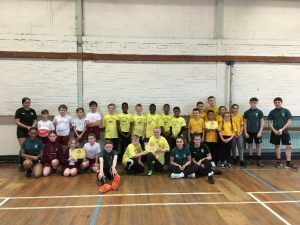 The teams then played against each other for a chance to win and represent Havering at the London finals at Westway in February. A positive experience was had by all children and each school received a School Games determination award. Congratulations to Newtons Primary who were the winners of the competition. 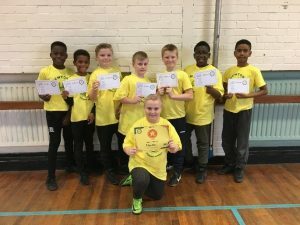 A huge thanks goes to Bower Park and their sports leaders for hosting and running the competition for us. Full results can be found under Primary Results.